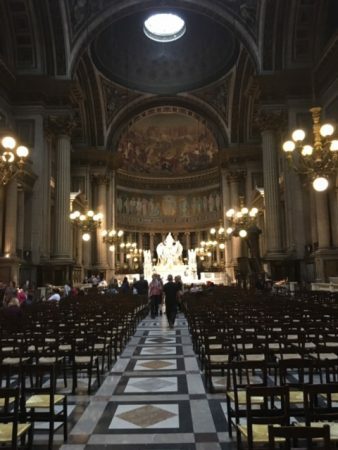 At the beginning of June 2017, a large contingent of singers from the East Midlands, including a dozen members of BDCS, set off for France with the Nottingham Symphony Orchestra to perform the Verdi Requiem in Chartres Cathedral and the Madeleine in Paris. We were joined by singers from a French and a German choir, making it a truly international experience. It was a fantastic privilege to sing one of the greatest romantic works in the choral repertoire in such legendary places. We were also blessed with four wonderful soloists (Sarah Baillie, Sandra Klara Januszewska, Richard Roddis and Geoff Williams) and the charismatic leadership of Derek Williams, Musical Director of the NSO, to spur us on. The concerts were well publicised in advance and attracted large, appreciative audiences in both venues. We were even treated to a standing ovation! A reception in a Paris restaurant provided a fitting, celebratory finale before the long trip back home. Much fun was had and many friendships made along the way, so much so that a visit to Prague is contemplated in two years’ time. 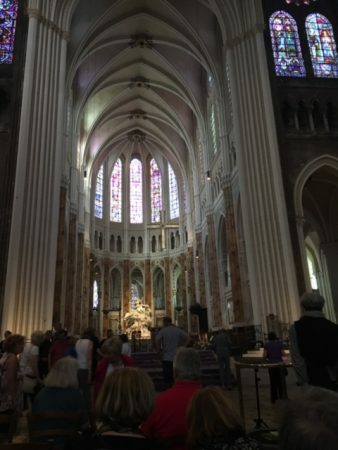 The trip was a great example of how choral singing crosses divides and expands horizons, personally and musically. 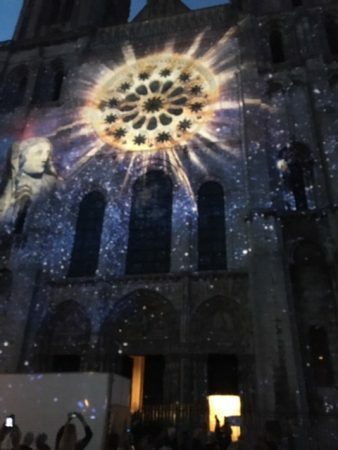 The photographs are of Chartres Cathedral interior and exterior with son et lumière, and The Madeleine, Paris. ← New competition for young musicians in the East Midlands – the winner!